Sony and Nintendo have also seen solid November sales, as consumers pick up consoles in their thousands. While half the world was busy growing moustaches in November, Microsoft was busy doing something else, namely, selling Xbox 360s. According to data from NPD, Microsoft shifted more than 1.5 million consoles last month, thanks in no small part to the annual sales frenzy that is Black Friday. According to Microsoft's internal figures, Black Friday sales contributed nearly half of Microsoft's 1.7 million November total, as shoppers bought 800,000 consoles in a 24 hour period. 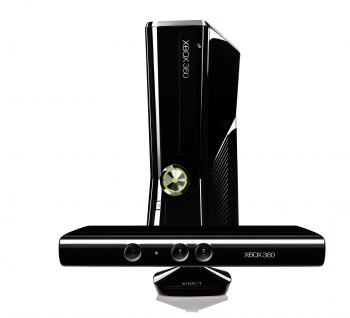 The company also sold around three quarters of a million Kinect sensors that week. Sony also enjoyed a surge of sales. While it declined to share exact figures, it said that it had seen a 70% increase in year-on-year sales. Using last year's numbers - 530,000 units - as a baseline, the total comes out as a shade over 900,000 units. This would be in line with Microsoft's boast that it sold nearly twice as many consoles in November as its nearest rival. Nintendo sold around 860,000 Wii consoles in November, a year-on-year drop of around a third. The company's handheld platforms saw solid sales, with the 3DS selling more than 795,000 units and the DS selling 350,000.